I have said it a few times now, but peace can be something hard to explain. Especially for younger kids. My girls are 4 and 1. If you try to teach world peace to that age you will get blank stares. I really wanted to teach them how simple peace can be and how THEY can have peace in their own lives and in our home. Books are a huge part of our daily routine. So of course I started looking for books. 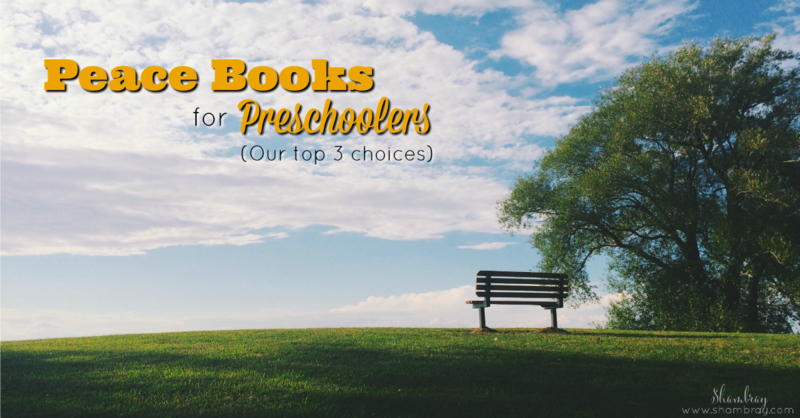 Most of the books I found did not keep my toddler entertained, but they are perfect peace books for preschoolers. I tried out 9 different books. I narrowed it down to my top 3. I liked them all, but some of them were a little broad in their definition of peace and for preschoolers I feel you have to be pretty specific or they don't understand. I also didn't include some that I LOVED, but felt they were a bit advanced for preschoolers. I have them listed in an order with my favorite one last. We loved this book. We listened to the music too and it was the highlight of my daughter's day. 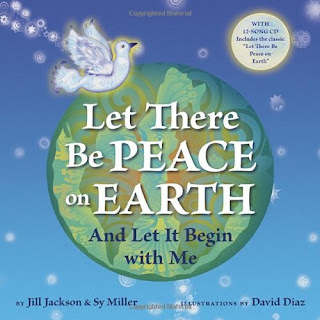 After we talked about the book and how it says, "let peace begin with me", my daughter said, "But that is so hard!" It might not always be easy, but it was worth it. I loved seeing her learn more about peace from this book. This goes through each of the five senses. I love it because it is written by kids. The author must have asked the kids these questions and then made them into a book. When we got to the question, "What does peace smell like? ", my daughter said that it smelled like a sweet dog and roses. It was fun to ask her on each page what she thought. 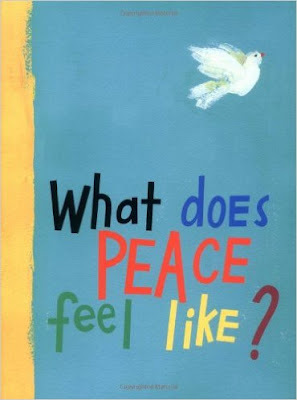 This book explained peace in small and simple ways and it is PERFECT to read to young children. 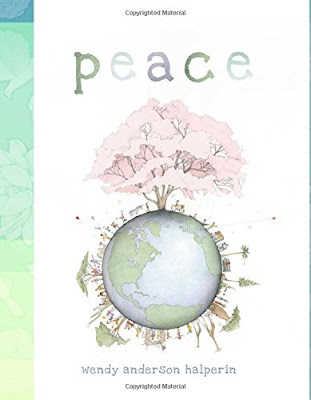 It explains peace in ways such as making new friends, planting a tree, and being who you are. I absolutely loved this book. Each page was fast and quick and the pictures were colorful and simple. 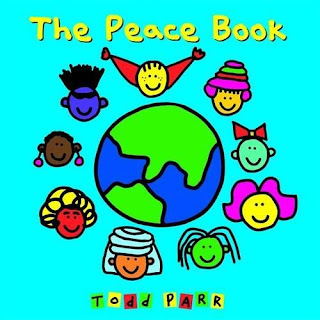 Seriously this is a must have for teaching peace. I know I said I was only sharing 3, but I really liked this last book. 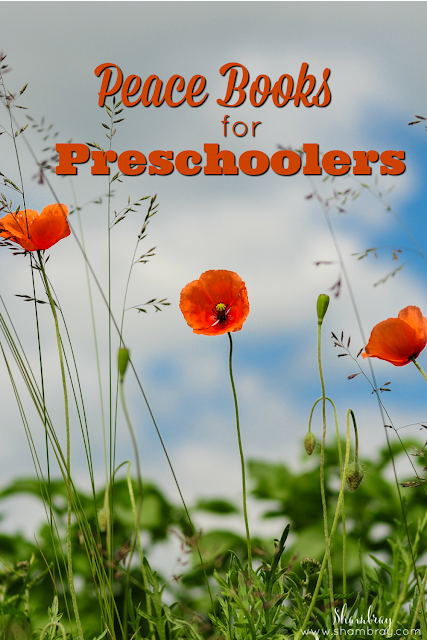 However, it is a little long and would only be good for preschoolers who have a longer attention span. Don't try to do this if your preschooler has a short attention span. It will drive you nuts. It would be great for elementary aged kids as well.